This home features a spacious living room and an open concept kitchen area. 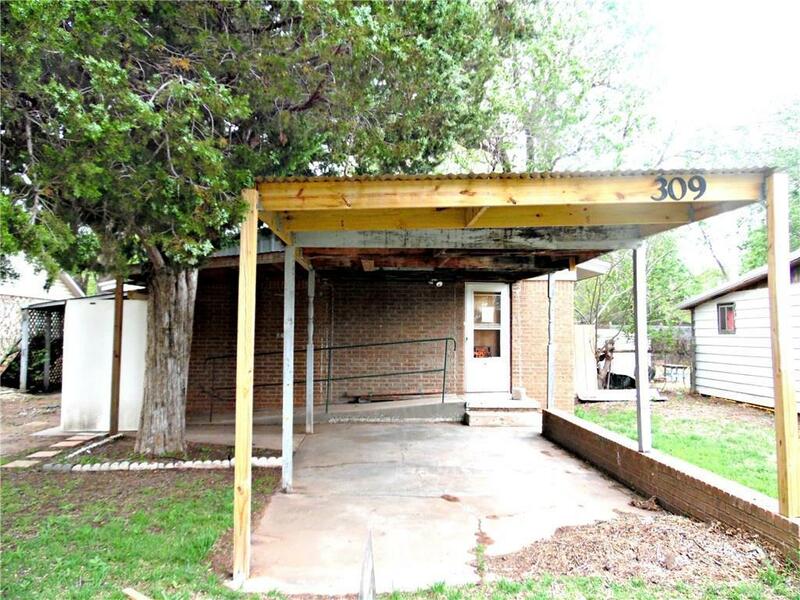 The home offers covered parking, a storm shelter, and a nice shaded lot. Located walking distance to all convenient amenities.